For my husband’s birthday this year, he really wanted to take a fishing trip. We ended up making it a father/son trip- my husband took our son and his dad and they are gone for a couple days to fish and talk and do whatever it is guys do ;). My son was so excited to join them and I can’t wait to see all the pictures when they get back! Since I knew I would be home with just my two daughters, I wanted to have our own fun, so we have been having a total girls’ weekend. We have watched princess movies, painted nails, read books, gone shopping and of course- eaten lots of tasty food ;). I have loved being able to spend this one-on-one time with my daughters. I love my son with all my heart, but there is definitely a difference between having sons and daughters. We live in a world where so many are confused and at times it seems everything is turned upside down. I have felt such a heavy sense of responsibility with my daughters- I want them to grow into ladies. Women who are kind, compassionate, serving; women who are virtuous and stand up for what they believe in and do it graciously; women who desire to have children and find it a noble calling and privilege to be a mother and homemaker. And honestly, what better way to teach my daughters these things than by spending time in the kitchen with them? Baking and cooking in general is definitely a skill that requires practice, and many young girls don’t know where to start! I feel that cooking is such an important skill to teach my daughters so they can prepare tasty and healthy meals for their families when they are older. But I also love the opportunity to bond that is provided when cooking in the kitchen together. Right now my daughter is young and we spend most our time trying not to spill the flour as she helps pour it in the mixing bowl ;). But as she grows older, this will be such a great time to talk with her and strengthen our relationship with each other. 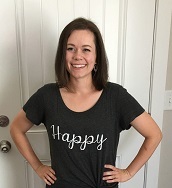 I also love that this provides a chance for my daughter to see how much joy I get from being a mother and homemaking and creating a home that is a sanctuary from the world. There is definitely nowhere else I would rather be, and I want my daughters to understand how much joy I find in being their mother and in being a homemaker. 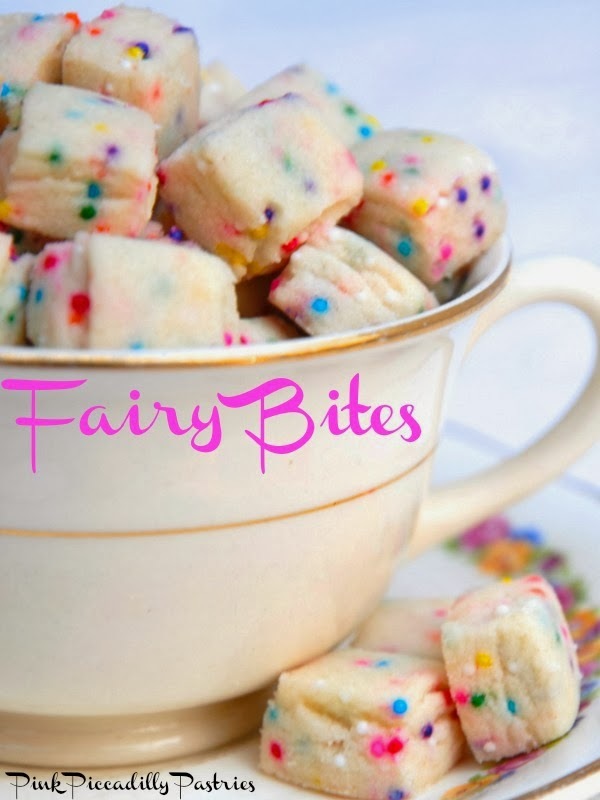 One of the recipes we made together this week is a quick, tasty and cute cookie recipe known as Fairy Bites. It’s basically shortbread cookies with sprinkles in it;). It is very simple to make and doesn’t make a ton, which is great if you are wanting an excuse to bake something but without a bunch of leftovers;). I also like that this recipe requires that you squish the dough into the pan- definitely a fun step for little helpers;). And they turn out so cute! How can you not have a tea party with these?? (Don’t worry, we are having a tea party with my mother-in-law tonight, and these will definitely be making an appearance;) ). Whether you have daughters or sons or grandchildren or nieces or nephews or even neighborhood kids, find opportunities to bake with them in the kitchen. It strengthens relationships and gives them an opportunity to practice a crucial life skill. And you get tasty food from it;). A win-win all around.